Frederick Smith, a senior executive at Sinclair Broadcast Group, recently donated $1,000 to Arizona Republican Joe Arpaio’s Senate campaign. Sinclair is a massive right-wing media corporation that owns or operates  nearly 200 local television stations across the country. It’s known for injecting  right-wing spin and propaganda into broadcasts, including through its infamous  “must-run” segments. The Federal Communications Commission recently decided  the company's proposed acquisition of Tribune Media needs greater legal scrutiny, citing potential "misrepresentation" by Sinclair due to its reliance on legal maneuvers  to skirt station ownership limits. Smith  is a vice president and member of the board of directors  at Sinclair. His father, the late Julian Sinclair Smith , founded the company. Arpaio was previously the sheriff of Maricopa County, AZ, before losing re-election in 2016 . The ACLU documented  that he oversaw "discriminatory conduct, including his office’s cruel and inhumane treatment of detainees and its practice of illegally detaining people based on their perceived immigration status and discriminating against Latinos in traffic stops." In 2017, as The Washington Post wrote , Arpaio was convicted of "criminal contempt of court for ignoring a judge’s order to stop detaining people because he merely suspected them of being undocumented immigrants. U.S. District Judge Susan R. Bolton wrote that Arpaio had shown a 'flagrant disregard' for the court’s command and that his attempt to pin the conduct on those who worked for him rang hollow." President Donald Trump pardoned  Arpaio shortly afterward. Arpaio is now running as a Republican for Arizona’s open U.S. Senate seat. 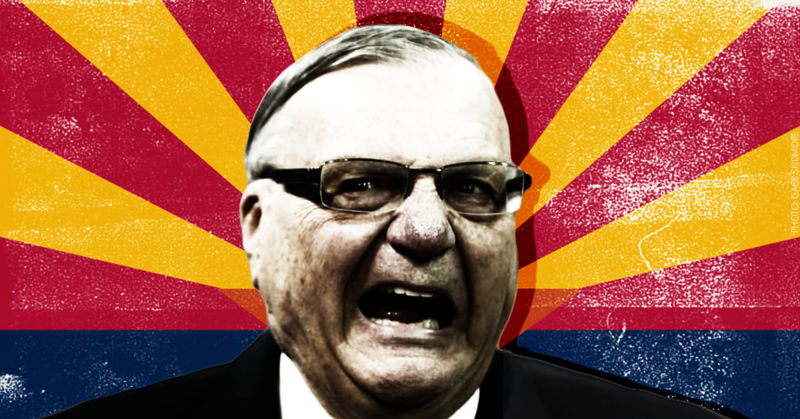 In January, as Media Matters documented , Arpaio gave an interview to the anti-Semitic publication American Free Press to promote his candidacy. Arpaio had also given interviews to the outlet in prior years. Smith donated  $1,000 to Arpaio’s Senate campaign on May 23, according to Arpaio’s most recent Federal Election Commission filing. Like Sinclair’s political action committee , Smith has largely donated  to Republicans this election cycle. As Politico reported , Smith also donated $1,000 last year to “Rep. Greg Gianforte's campaign the day after the Montana Republican was charged with assaulting a reporter.” The Guardian reported  in April that Robert E. Smith , who is Frederick Smith’s brother and a member of Sinclair’s board of directors , donated the maximum amount of $5,400 to Gianforte's campaign.